Greta Gerwig has been preparing for this moment for a long time. Here's the path she took to deliver her assured directorial debut. Greta Gerwig has a story about the moment she knew she would become a director. 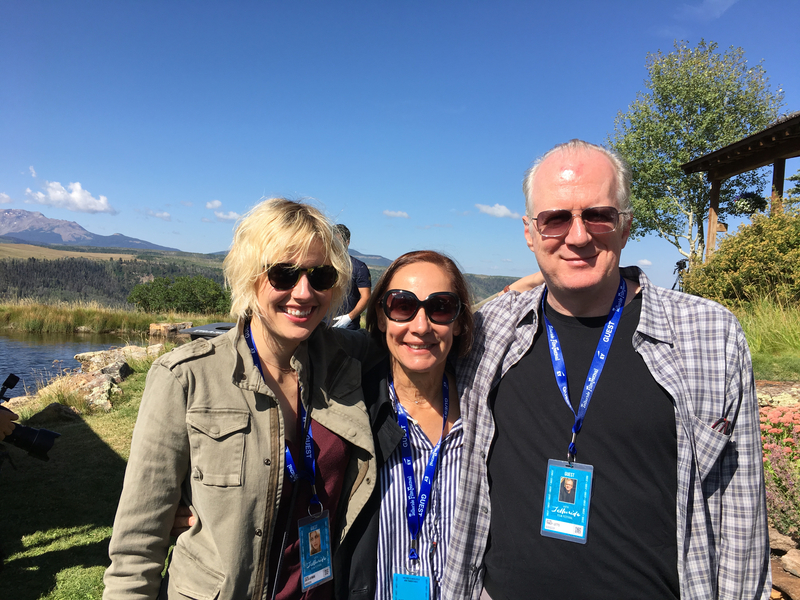 Shortly after she starred in and co-wrote “Frances Ha” with Noah Baumbach, she met “Orlando” director Sally Potter at a party. Gerwig cornered Potter, to pick her brain. “I do that with people I admire,” Gerwig said. “I was writing a lot. I was asking her about how she does what she does. Does she do it first thing in the morning in longhand, or many computer drafts? I was being nerdy and needy, and she was answering and being very kind. It was a life changer for Gerwig, but it’s not the only one. While “Lady Bird” has critics swooning over her directing debut, assigning her rookie status is something of a false equivalency. She went to Barnard, not film school, but she’s been writing and acting in films for 11 years. She learned on the job via multiple collaborators, from Joe Swanberg and Mike Mills to Rebecca Miller and her partner, Noah Baumbach. Irish Oscar nominee Saoirse Ronan (“Atonement,” “Brooklyn”) plays Christine “Lady Bird” Macpherson (a version of Catholic high schooler Gerwig) as a scrappy and voracious culture-vulture eager to escape her Sacramento confines for an Eastern college. Laurie Metcalf nails her angry, frustrated, penny-pinching, and loving mother who cannot help returning to old arguments. Tracy Letts is Lady Bird’s adoring father, and Lucas Hedges and Timothee Chalamet are her challenging romantic entanglements. Like the title character, Gerwig was a full-blown theater geek in Sacramento, but she didn’t wait for high school. “I was deeply involved in theater from the time I was younger,” she said. “It was not a thing I came to.” Gerwig has continued indulging her love of making and watching theater in New York and London ever since. In May 2014, Gerwig made her professional stage debut in Penelope Skinner’s “The Village Bike” at the Lucille Lortel Theater in New York, for which she received an Outer Critics Circle Award nomination. 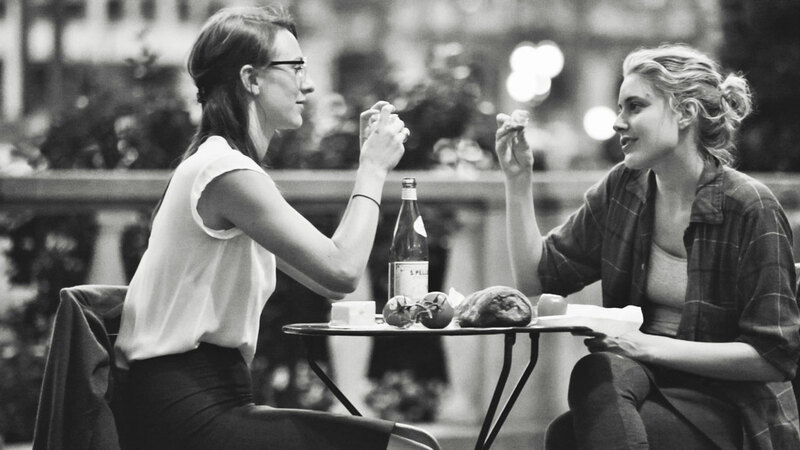 Gerwig started off making micro-budget features with a minimal improvisational aesthetic. From her earliest efforts like Joe Swanberg’s “Hannah Takes the Stairs” (2007), she shared writing credit with fellow improvisers and future directors Andrew Bujalski, Ry Russo-Young, and Mark Duplass. From that ensemble, she popped with her smart and distinctive voice. Swanberg went on to share director credit with her on “Nights and Weekends” (2008). Soon Gerwig was discovered by other filmmakers, from Alison Bagnall, for whom she played a vengeful wife angry at her unfaithful husband in “The Dish & the Spoon” (2011) — to Noah Baumbach, who cast her opposite Ben Stiller and Jennifer Jason Leigh in his relationship comedy “Greenberg” (2010). While writer-director Woody Allen created comedies as vehicles for his muses Diane Keaton and Mia Farrow, Baumbauch and Gerwig co-created a movie featuring her clear, identifiable voice. 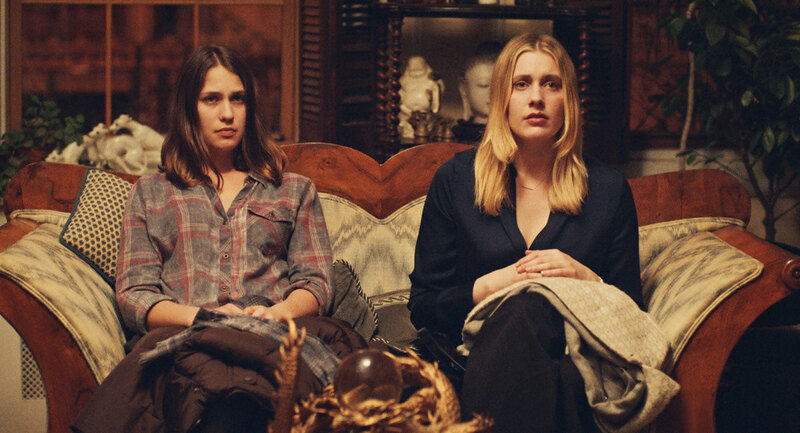 And again, the central relationship was between two women: Lonely New York college freshman Tracy (Lola Kirke) is taken in by her almost-stepsister Brooke (Gerwig), a dangerously entertaining urban sophisticate who draws her into her crazy schemes with chaotic results. By 2013, Gerwig had thrown all her ideas into a 350-page first draft. She then spent years whittling it down, slowly and deliberately.